Disclaimer: These are MY thoughts on the movie. I'm mentioning the things I noticed as I watched the movie, the things I personally liked or was disappointed with. You may wholly disagree with me or think I didn't mention half the things you noticed. 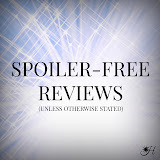 There is only one major spoiler in my review and I give a fair warning beforehand, but I still advise everyone to read my review after you've seen the movie, just so I don't influence your opinions or put minor reveals in your mind before you've even seen the film for yourself. 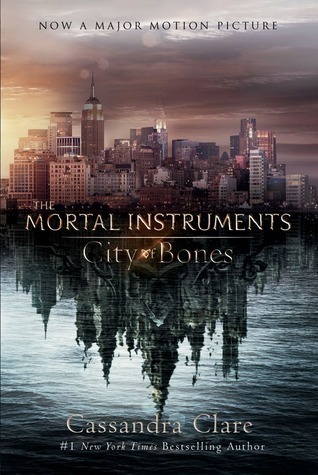 If you haven't seen the movie AND haven't read the book, City of Bones by Cassandra Clare, but you are reading this, then read this movie review at your own risk because I WILL be discussing plot points and reveals that readers already know about from the book. Overall, I was extremely pleased with the movie! I loved the first half of the movie; I didn't love the second half of the movie as much but I still really liked it. I was quite satisfied with the acting throughout the movie, Lily Collins (Clary) was my favorite. The set design, make-up & costume design, the humor (with Simon & Jace! ), most of the special effects... those were all done extremely well! The only thing that slightly dampened the visuals was that most of the scenes were fast-paced. That made for a rushed movie and I think some of the lines and characters' feelings weren't able to be conveyed as well because of it. I wasn't entirely impressed with the casting choices before I went into the movie, but I had faith. After seeing the film, I have to say I thought the acting overall was wonderful! I loved Lily Collins as Clary! I think she embodied Clary really well and was able to portray the essence of her character. The only thing I wished they had done differently regarding Lily was redye her hair (and dye her eyebrows!) when it faded a lot. At some points in the film, her hair is a strong red and in others it's more of a tinted red. I loved that Jocelyn and Clary's hair was styled the same way and I liked Jocelyn's Idris accent. For Jace (Jaime Campbell Bower), the contouring they did on his cheek and jaw bones (I noticed because they were more defined than in the interviews he is in) made him a particularly intriguing character to look at! Jaime dished out snark and sarcasm beautifully! Simon was awesome. There were no geeky references which I was sort of disappointed by, but he gave off the geeky, fun-loving vibe that I feel when I read Simon! 1.) 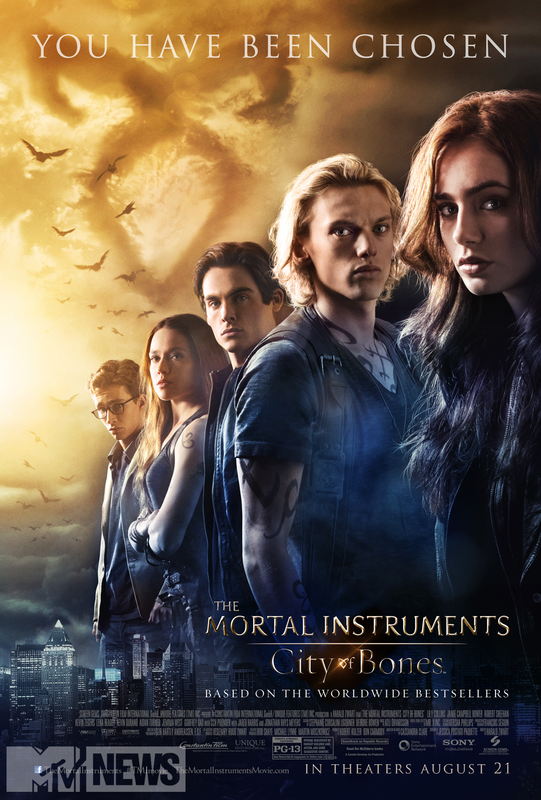 I wasn't as convinced of Clary and Jace's attraction/love as I was in the book. In the book, we get to hear Clary's thoughts. Obviously we don't get to hear thoughts in the film, and without them, I don't think the actors conveyed their feelings enough and when they did, it felt forced. I just don't think there was enough down time to showcase their feelings for each other. By the end up the movie, their mixed feelings seemed genuine, but that was literally the very last scene. 2.) Simon's dislike/irritation for Jace didn't come across strongly. When he tells Clary "I hate the guy!" I thought, "You do? Since when?" 3.) I think they purposefully made Magnus a less complex person because that would have taken more time to convey. He wasn't as mysterious or dramatic in personality/the way he spoke. That was disappointing. I think they did the same thing with Valentine too. Valentine wasn't charming enough. There was no mask for his true intentions. He truly came across as demonic and psycho and quite scary really. There was nothing about him that, if I were Jace, would have made me go soft with the idea of my father still being alive or anything that would have fooled me into being a follower of him. 4.) Isabelle wasn't as dimensional as I would have hoped, but I hope we get to see more of her character and her relationship with Clary in the following movies. I know when a book is adapted to film, events need to be altered/embellished/deleted, but I'm always nervous going into the movie because I never know how much change to expect. For the first half of the movie, the scenes were either 1) spot on with the book, 2) slightly changed in details, or 3) the order of the events were flip-flopped. I thought the changes were necessary for a good-paced, flowing fantasy film and I loved them all! While I was watching the movie in the theater, I was actually thinking, "I loved how they changed that scene. That makes the (movie) story line so much better." So the first half of the film gets an "A" rating from me! The last half of the movie was crazy. There was SO much action. Double the action that actually happened in the book. Or maybe it just seemed like a lot more action because they cut out all the calm, slower paced scenes from the novel, hmm...Anyway, the fight scenes were awesome as far as choreography goes, but there were so many fight scenes and fast scenes in general that I felt like I was watching a movie in fast forward. Everyone was just always going somewhere, always running, always killing something. I personally think it was a bit overloaded at times. After Valentine first appeared in the movie (same time as the book), the plot took a dramatic turn. The main concept of the book stayed, but everything about those parts were changed in some way--whether it was a location change, a detail in the plot, or more fighting. Seriously, there is a big SPOILER beyond this point. ...for some reason the producers made it so Clary ended up with the Cup and Valentine supposedly got lost in the portal. I know they won't have a problem bringing Valentine back via a loophole in the portal in the second movie, but why does Clary have the Cup? The only thing I can think of is that they want to keep the second movie as fast paced as the first one and they want Valentine to chase the gang & the Cup, instead of the Shadowhunters searching for Valentine and trying to bring him down. That's about it then for my first movie review! I know, it's long, I can never write anything short. :P I would LOVE to know your opinions on the movie, what you thought of my review, etc so leave a comment below telling me your thoughts and I'll reply back!